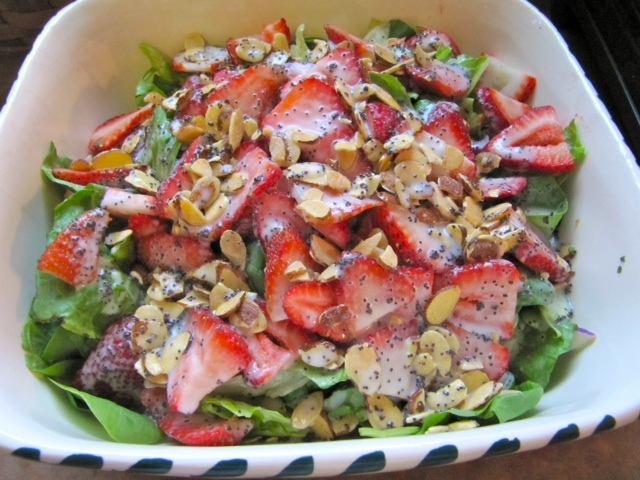 But, today, we’re talkin’ Strawberry Salad. I think I had this salad at some sort of gathering and asked for the recipe. I wish I could give credit, but this was at least 20 years ago, so my apologies to whomever gave it to me. I imagine this is a pretty common recipe, so hope that no feelings are hurt, rights infringed upon sharing this lovely, simple, summer salad. I usually serve it as a side salad with dinner, but if you toss some grilled chicken in there for protein, or even tofu, it could make a wonderful entrée salad. Wash lettuce and spinach. Tear into bite size pieces and toss together. Add carrots, and any other veggies you might like in your salad. I keep this simple due to the strawberries being the star of the show, but feel free to add as you wish. Slice strawberries and toss those in too. 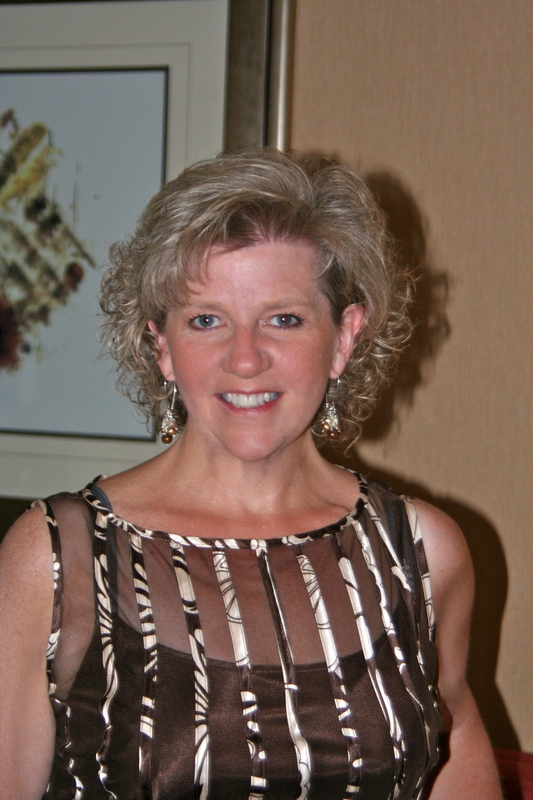 You can either buy packaged sugared almond slices, or make your own. To make your own simply place about 2 Tbs of sugar in a small sautee pan over medium heat. Once the sugar begins to melt, add the almonds and stir, keeping the nuts moving constantly to coat, and insure they don’t burn. Once the almond are coated in melted sugar, remove from heat and spread nuts on a plate to cool. Once they are cool, break them up a bit and sprinkle over the salad. Or, again, just buy a bag of them. Mix all dressing ingredients together, pour over salad, toss and serve. Nom.Nom. Nom. Yum! I just made something very similar to this not too long ago, and it’s very good! I’m not much of a salad person. But throw some fruit in there, and I’m happy 🙂 This looks so good – definitely want to try it! 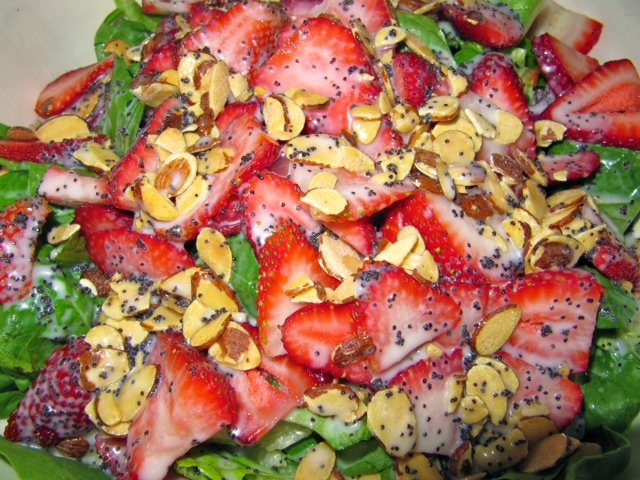 I absolutely LOVE strawberry salads….here is my own version…http://inherchucks.com/2011/12/12/strawberry-salad/. omg looks delish! love fruit in my salads. Great salad for this hot weather we’re having! This looks delicious, I always enjoy a bit of fruit in a green salad, but making strawberries into the star is lovely for this time of year! Even though it calls for some sugar, I am quite sure that I can sub that out for non-carb options and still have a fantastic salad! Love this idea and love the fact that I already have everything in my pantry right now.